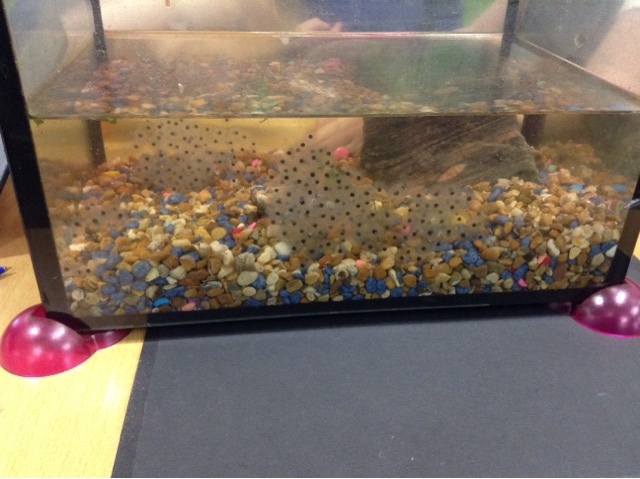 F2 took delivery of some frog spawn today. It created a lot of interest with children and adults! Now we just have to wait and watch for them to hatch.